Behavioral economics is as old as mankind, but its importance is rapidly growing for two reasons. First, cognitive science increasingly unveils how the human brain works, so behavioral economics (hereafter B.E.) practitioners have more knowledge that they can use to influence behavior through design; they are improving their effectiveness at designing environments that influence people’s choices. Second, B.E. and user experience design are scaling exponentially since they’re increasingly embedded within digital devices, services and (customer) experiences. Devices and services serve as intermediaries between people and their physical environments, and these digital intermediaries introduce constraints and often use B.E. and user experience design (UXD) to influence or enable behavior. The impact of B.E. and UXD on human behavior and free choice is expanding and accelerating, so it’s critical to be present with how we use it. I reflected at some length on individual autonomy in the context of the Internet of Things, so here I’ll just summarize a few points and add a social and political context. Along with other primates, humans are pervasively social, so we depend on groups for our survival. For most of our history, we’ve lived in hunter-gatherer bands and very small towns. Therefore, individual autonomy is almost always experienced in relationship to group will, and a large part of all human activity is managing individual wants versus group will. For our purposes here, I’ll define individual autonomy as a person’s ability to exercise his/her will; however, people exercise what I’ll call “sanctioned autonomy,” which adds the constraint that individual autonomy cannot infringe on another person’s autonomy. 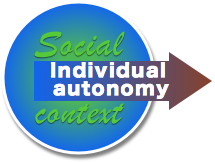 Autonomy must be legal (political sanction) and usually considerate of others (social sanction). For example, I can smoke if I want, unless it’s inside and infringes on other people’s desire to not smoke (illegal in many places now and often undesired in other places). I can eat only cream pies, but I can’t throw them at people (usually illegal ;^). Another key principle when considering autonomy is clarifying what is meant by “infringing.” To make sense of this, it’s important to differentiate between actual, verifiable infringement and perceived infringement. For example, if I smoke outside, I am actually affecting no one except myself; however, my family may be upset at my act of smoking and may feel that I am infringing on their ability to be in peace. In this case, it’s important to recall that every person creates her/his reality by perceiving what’s going on around her/him and interpreting that perception by creating thoughts and emotions about it, although many people experience this unconsciously. In other words, my family is making themselves upset, and they are responsible for their upsettedness. That is not true if I insist on smoking at the dinner table. These principles are critical for consideration by behavior economists, designers, policy makers and others. In some talks by B.E. practitioners I’ve heard, the principle of doing good appears sacrosanct, but the context of some of their examples and case studies is that they want to “help people make good choices” by influencing behavior. This implies that they judge that people are making bad choices, so they need to nudge (influence) people to change those choices. Of course, this conflict has nothing inherently to do with B.E. ; it’s the ancient conflict between the individual and the collective. In this case, B.E. practitioners may be using their perceived infringement to justify their action of limiting people’s autonomy. Although this is a matter of opinion, I think autonomy is more important than perceived infringement because once B.E. practitioners justify limiting autonomy through systematically influencing behavior, it’s a slippery slope to increase that scope to address an ever-larger range of human behavior. B.E. is particularly important because it’s invisible, it influences people implicitly, it’s often not transparent, and its use is scaling exponentially through digital interfaces. 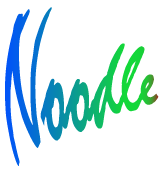 As are all Noodles, this post is a reflection and thought experiment, so I’ll offer some of my guiding principles for your consideration in navigating some of these ethical land mines. I find that there are no easy answers, especially because we’re in the domain of individual and social behavior. To treat the subject in depth would require a book at least. I take responsibility for my thoughts and emotions and distinguish actual infringement from perceived infringement. Your autonomy includes your right to make your own choices. In this context, I assert that “for good” refers to the degree that my primary goal is to serve people without infringing on their autonomy. I also observe that makers of products and services are more successful when their primary focus is serving customers and users. B.E. that attempts to help people close their own intention-action gaps is a good example of “use for good” when it discloses what it’s doing. For example, I make social media, product and innovation design choices after using ethnographic research, B.E. or other methods. I’m transparent about those design choices and share them with users/customers whenever possible. I disclose my intent and design choices, so users are more aware of how I may be affecting their autonomy. I recognize that every person is responsible for his/her autonomy although some people do not recognize this or act on it. Even when the people I’m serving try to avoid responsibility for themselves, I recognize that they cannot. A vital part of my autonomy is not infringing on others even when they invite me to do so. Even if they aren’t aware, I am aware. I seek to develop empathy with customers and users, and I can do this best when I operate from a place of humility: I maintain that I don’t know what’s right for anyone else, but I do know what’s right for me. My goal is to support people in exercising their autonomy. When researching and designing to serve people, intent and attitude are critical: people feel it when providers honor their autonomy and try to serve them. The behavior of individuals within groups is highly complex and nuanced, so we all make mistakes. Intent compensates for much. As much as possible, I ground my effort to serve in the root causes of the conflicts or opportunities my customers/users have because using tactics without addressing root causes is relatively superficial. For example, if I want to help people to be more satisfied with their workouts, I’ll use ethnographic to develop hypotheses about why they’re unhappy (many people are unhappy when it comes to working out), and I’ll serve them at that level rather than using design or B.E. to try to nudge them at a tactical level (example below). I’ll help them make informed and conscious choices. I recognize the power of sociality in influencing people’s choices. Humans are profoundly social, so I can support people by connecting them to others with similar frustrations or opportunities in digital public, where they can empower each other. I ground my practice in trusting people to make the choices that are right for them, even when I don’t agree with their choices. I can give them explicit information relevant to their decisions. I strive to engage their conscious minds. They have the right to make their own choices, and they are responsible for them. I recognize that other people will use any tool they can, including B.E., to influence people against their will. For example, some practitioners of B.E. seek to maximize their influence by designing interfaces that avoid triggering their users’/customers’ conscious attention. When users don’t perceive the concerted, hidden effort to influence their behavior, I judge this to be manipulation. I don’t serve people whose autonomy results in things I don’t like, but I’ll maintain their right to do those things even as I may openly oppose them (as I oppose manipulation). I will not use B.E. or other methods to try to influence their behavior against their will. I recently participated in a simple workshop in which we explored how to use B.E. 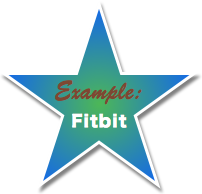 to help people be more successful with their Fitbits. This is a useful example because a Fitbit is a great proxy for an app, digital device or IoT product. Design teams study behavior of proposed users and their outcomes of using the device. They design the device and software to help users reach their outcomes. In addition, working out is an excellent opportunity to observe how the “intention-action” gap works. It contrasts what people say they want with what they actually do. Tactical approaches design features that give people more rewards for working out, to help them to remove obstacles, or to increase social magnification when they meet their goals. Many B.E. practitioners and UX designers use these tactics. As we learned in the seminar, they were marginally successful at best. They didn’t treat the root causes of the gap, so many users got frustrated and stopped using their Fitbits. B.E. is not a silver bullet. Strategic approaches recognize that many people have difficulty being happy with themselves, and accepting themselves for who they are, which pervades the “intention-action gap.” I think B.E. needs to empathize and accept people’s autonomy even when people themselves are unhappy. No one can do work, make change, for anyone else; at best we can support and empower. Therefore, the root cause may be that people need guidance with being happy with their fitness because they don’t know how to help themselves to change their own behavior. Devices and communities can be immensely successful in helping them explore the root of the gap, and there are repeatable tactical ways to help them support themselves in digital public. No device or tactic that neglects this root cause will work consistently. Further, I hypothesize that providers and buyers of many products and services (i.e. Fitbits and spa weekends) cooperate in magical thinking. Both Fitbits and spa weekends are often offered as “solutions” to buyers’ desired outcomes, but they only work when the buyer takes responsibility for their outcomes. Many buyers do not take responsibility, so they don’t get the results they want. The provider’s role is key here: although executives may think that they’ll sell more by suggesting their solution will work magic, they won’t. Fitbits and spa weekends engender eye rolls among many groups of disappointed buyers. Providers can earn more trust by emphasizing the role of buyer accountability, not in the oft prevailing legalistic sense, but in a human sense. Plastic surgery clients offer a great example. Experiential social media is a way for providers to help people to support each other. Knowledge of cognitive science is rapidly increasing tools for influencing behavior, and B.E. is an excellent example of the trend. As with all great leaps in human knowledge, I think we are collectively best served by adopting a humble attitude towards our emerging knowledge; here, this means that we don’t know the effects or where they might lead, so it behooves us to continuously reflect on ethics. Since cognitive science and B.E. serve to open the human brain to scrutiny and unprecedented vulnerability, they may represent a sort of “final frontier” because the mind is the nexus of privacy and autonomy. Over the past several decades of study and direct observation, I’ve seen that some politicians, advertisers and marketers have used any kind of manipulation they could to influence behavior, so B.E. will be no different. Some people will seek to aggrandize themselves by using B.E. and design to manipulate people. Understanding people’s autonomy can be difficult, so that’s why attitude and intent are critical in guiding practice. Explicit communication and disclosure are important safeguards. Autonomy is even grayer when one considers that some people try to avoid accountability by making excuses or offloading decisions to “magical solutions.” In light of this, such a person’s “autonomy” is unclear because s/he is undecided about it, often without fully realizing it. Discovering and exercising one’s autonomy is often a journey. Engaging the “whole person” is better than engaging the “partial person,” even when it’s more risky in terms of the provider’s goals. The whole person includes his/her conscious mind. Manipulation influences by operating on the unconscious mind. I think there’s a bigger realization for B.E. practitioners, and it’s an attitudinal one: we need to ground our practice in trusting people to make the right decision based on their intent and the information they have to consider at the moment. And people are on journeys during which they learn what is right for them. In some B.E. talks and papers, I feel the authors have an attitude of “helping people do good things in spite of themselves.” I think this often fails because it doesn’t engage the whole person, which is required for most enduring behavior change; in addition, people feel coerced and reject it. Since B.E. will be used to manipulate, I think most of us are best served by being vigilant and calling out manipulation when we see it, to “have each other’s backs.” Here’s a great example of a robust discussion. That’s the essence of community.